Timber is the ultimate renewable resource, but is it a biological or a technical nutrient, or both? Sustainable timber production can be compared to farming, it just takes a lot longer to harvest a crop, so as a grown resource the natural assumption would be that it is a biological nutrient? However, we believe that the unique properties of timber mean that it should also be classed as a technical nutrient. 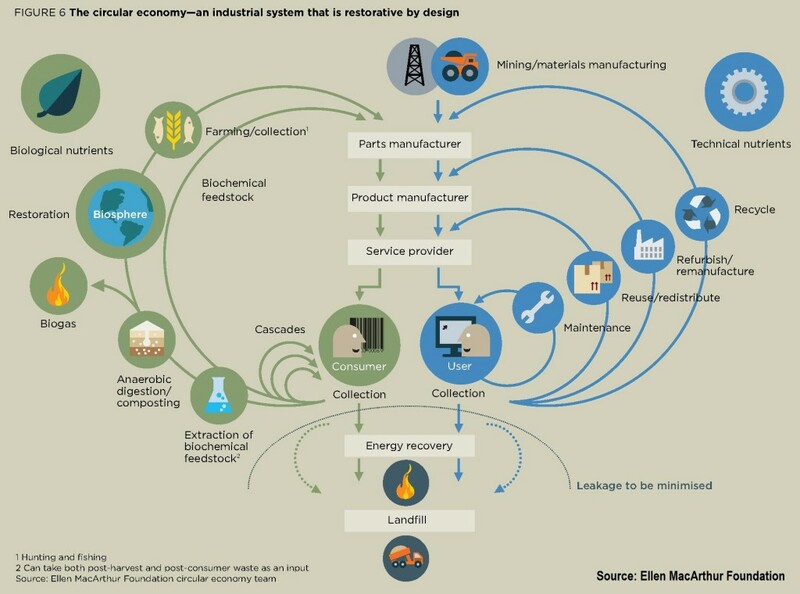 The Ellen MacArthur Foundation has produced this great infographic on the flow of materials in a circular economy, which shows the separate paths of the biological and technical nutrients. However we need to be careful not to treat these as distinct flows; to be successful they need to be interrelated. If not, this could lead to materials such as timber being cascaded straight through to biological composition after first use, or worse straight into energy recovery, before its full potential has been realised. The crossover needs to come at the manufacturing stages where timber, and similar materials such as bamboo, can become a technical nutrient. If we look at the journey of timber from being felled to end of life, there are numerous opportunities for value creation and retention. However, all too often, good quality timber is diverted straight into the wood fuel market before these opportunities are realised. What needs to happen, especially in the UK, is to identify the timber that could be used for higher value purposes early on, and this is something that Grown in Britain has recently won Innovate UK funding to look at for the UK supply chain. For hardwood, this would mean identifying the trees that would make good quality joinery timber in the forest, extracting these before they get into the wood fuel chain. For softwood, this would mean identifying the strongest timber in the mill and diverting this for Glulam or Cross Laminated Timber (CLT) production. 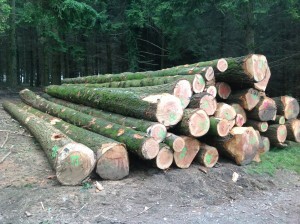 Once this timber becomes a higher value product, we have more chance of keeping it in the technical cycle for longer. For example hardwood used for high quality furniture remains in use far longer than lower quality chipboard furniture, and has a higher potential for reuse. Also, CLT panels could be designed for reuse and/or remanufacture in a component based construction system, likewise Glulam beams could be designed for reuse or remanufactured into new (shorter) beams. Only once the reuse and remanufacture cycle has been exhausted, would the material be sent for recycling into products such as chipboard, and only at the end of that cycle would the product finally swap back to the biological nutrient cycle and succumb to cascading through biological composition, or energy recovery. So, as you can see, timber could actually be the ultimate Circular Economy resource, as well as the ultimate renewable resource. If you would like us to help you move towards a more circular business model, or help you obtain a Grown in Britain licence, please Contact Us.